At 33 years old, and after numerous failed attempt to make it as a musician, Chris still lives with his mother Marie in Judeais-Nazareth, a small french town. One day he crosses paths with Father Marc, a young missionary trying to raise funds to build a Children's hospital in Haiti. 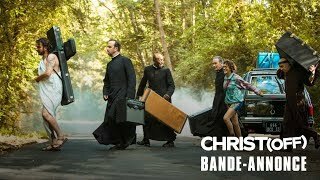 In need of a guitarist for his new religious band "Apôtres", Marc recruits Chris and disguises him as Father Christophe. Together they embark on a tour across France and soon make the whole country dance.